Over the last few months, I’ve purchased three dirt bikes and I’ve found some really incredible deals by using a few tricky methods for finding the dirt bikes and negotiating good deals. I hope this post will help you to find a good dirt bike on the cheap. Facebook Marketplace – The Facebook marketplace is accessed by going through the Facebook app on your phone. At the time of writing, you can’t use it on the desktop. I’m starting to see quite a few dirt bikes popping up on the Marketplace that I haven’t also seen listed on Craigslist. The nice thing about the marketplace is that there aren’t as many scammers and spammers. One tip for finding good deals on Facebook marketplace is to set up a series of alerts. Just do a search and then toggle the switch to be notified when something matching that search gets posted. I set up notifications for keywords dirt bike, TTR, KTM, CRF, KZ, etc. If you set up all of these notifications, you’ll be the first to know when something is put up. More than a few times I’ve seen where someone isn’t sure what to charge for their item and so they put up a price and dramatically undervalue it. If you can message them right away and run over and buy it, you can sometimes score really good deals. Craigslist – This is probably the most obvious place to check for used dirt bikes. I won’t bore you with details of how to use the site, but I do have a pro tip that can help you find great deals through Craigslist. If you download the iPhone app called CPlus for Craigslist, you get some powerful features that the normal Craigslist website doesn’t offer. In addition to being able to filter the searches with greater precision, you can also set up notifications of your saved searches just like you can on Facebook Marketplace. With this, you can get notified any time a new dirt bike is posted and be the first to call on it. This is a REALLY helpful tip to find underpriced dirt bikes because you’ll be the first to find the deal, and you don’t have to sit there refreshing Craigslist all day. 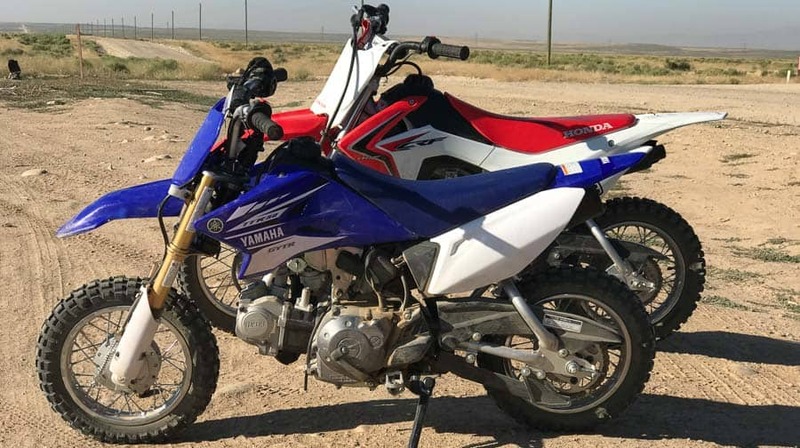 eBay Motors – eBay Motors is unlikely to have many dirt bikes available for local pickup, but if you’re looking for something specific and customized, then eBay Motors is the place to go. CycleTrader – This site is worth checking. You can search all the dirt bikes available throughout the nation or just in your city and filter your search to just the specific bikes you’re interested in. This site is mostly used by local retailers who list their entire inventories, but it’s still worth a look. Click here to do a quickly see what dirt bikes are available on Cycle Trader within 150 miles of your location. 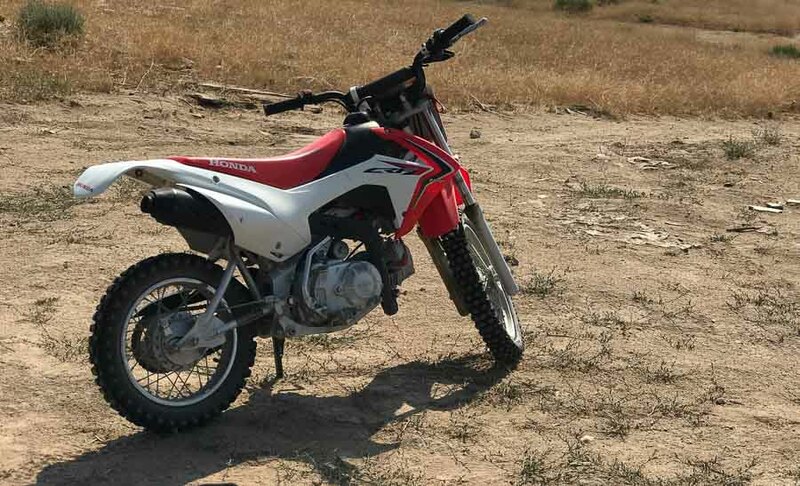 I haven’t ever found any truly awesome deals on Cycle Trader because people who use the site are generally more savvy sellers who know the value of their dirt bikes. However, it’s handy to check the site to get a ballpark for what a specific model and year of dirt bike should be worth–much more accurate that Kelley Blue Book, which is always on the low side. 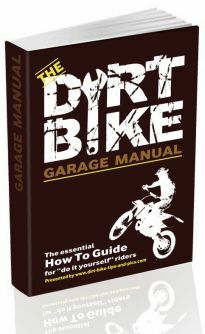 Print out the Kelley Blue Book price for the used dirt bike before you go to look at the bike. At least in the Boise market, the Blue Book price is almost always significantly lower than the going rate. That way, if you decide to buy, you can show the seller the Blue Book price and ask for a discount. Giving a REASON for requesting a discount is much more likely to encourage the seller to drop the price. You’re much more likely to find a good deal on a used dirt bike from a private individual than from a shop. However, if you are buying from a shop, you need leverage. Shop several stores for dirt bikes and pick all the bikes you like. Then go into the other stores and say, “I’m going to buy this 2014 CRF250F for $3,000 from ABC Store today, but I wanted to stop by here first to see if you can beat that deal.” This way you have the leverage. The store knows they’ll need to come up with a great deal to convince you to buy. I’ve used this trick a number of times and once even got two salesmen from competing stores to CALL EACH OTHER to see who would give the lowest price on the same vehicle. THEY were haggling for MY business. It was awesome! I left the store 100% certain that I’d got the cheapest possible price. I recently listened to a book from a former FBI hostage negotiator, and he said the most powerful negotiating technique is to let the seller say their price, and then find a reason why the price is too high. It may be dinged up, need a new battery, not quite the model you wanted, whatever. Then say, “That’s a lot of money, and [enter your reason, such as “this isn’t even quite the model I wanted and it’s really dinged up”]. How am I supposed to pay that much?” I’ve used the technique a few times since reading the book with good results. Patience wins the day. If you want a bike RIGHT NOW, you only have the dirt bike inventory available RIGHT NOW. There might not be a perfect used motorcycle on the market at a good deal right now. Instead, make the hunt for a good deal a long-term hobby. Always be on the look out for a great deal. Tip #1: Never buy a dirt bike with a loan. I know it’s really tempting to just get a small loan so you can get the perfect dirt bike of your dreams. It sounds great, but it means you’ll be paying way more for the same dirt bike. Suppose you want to buy a top-of-the-line KTM dirt bike that is all tricked out for $8,000. You decide to get a small loan with just 5.2% interest over 7 years. How much did you pay for your $8,000 dirt bike in the end? Nearly $10,000! You just completely wasted $2,000 because you weren’t patient. You paid 20% too much. If you do the same thing with your car, a home, a TV, and whatever other crap you buy, you’ll wind up broke for your entire life. You’re paying 20-50% too much for every major purchase in your life. The only POSSIBLE argument in favor of buying things on a loan is leverage. For example, you buy a home for $300,000 and you pay interest on that home, but possibly less in interest than the appreciation of that home over time. Guess what? Dirt bikes aren’t like homes. They don’t appreciate–ever! Your $8,000 dirt bike will only be worth $4,000 in just two years. If you buy a new dirt bike with a loan, you’re guaranteed to be underwater on the purchase from day 1. Tip #2: Buy private party if you want to find the best prices. It’s extremely unlikely that you’ll find a dirt bike shop that will make a mistake on pricing. They are professionals and know the going rates better than you do. If you get one really cheap, it probably means they knew something about the bike that you didn’t–perhaps the previous owner raced the bike every weekend for 3 years before selling. There is nothing wrong with buying from a retailer. They may give you discounts on gear, help you with service, etc. However, if you want to get a crazy good deal on a bike, you’re unlikely to find it at a store. Shop private party. Tip #3: Don’t be brand loyal. The truth is that there isn’t a whole lot of difference between dirt bikes of different brands. Unless you’re an extremely talented world-class rider, tiny differences in the way that each brand’s bike is made will not give you an edge at the race track. Your skill is far more important. Don’t decide that “you’re a Honda Guy” or a KTM guy, or a Suzuki guy, or whatever else. If you do, it will mean that there are far fewer deals on bikes available to you. Embrace the benefits of each of the different brands and be willing to try something different than what you’re used to. You’re looking for a DEAL, not a brand. If you end up hating the bike, you can rest assured that you bought it at a great price and you can sell it for as much or more than what you bought it for, and then hunt for the next bike.